A summary of Simone Milanis's researches about video transmission over mobile channels. Articles, presentations, videos, and softwares are available for download. 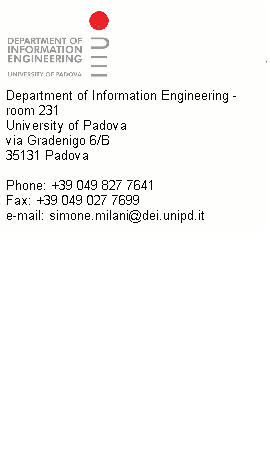 Simone Milani is enrolled as Assistant Professor (RTDA) at the University of Padova, Department of Information Engineering. His main research topics are digital signal processing, source coding, joint source-channel coding, robust video transmission over lossy packet networks, distributed source coding, video forensics, image forensics, 3D video processing, 3D acquisition. 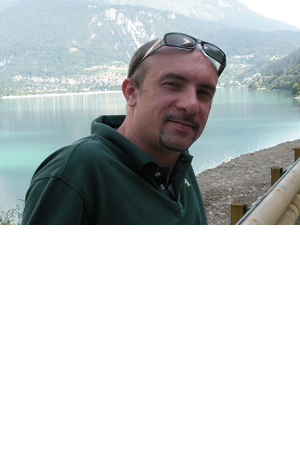 He is also a IEEE member of Information Theory and Signal Processing Societies. You can contact me writing in Italian English French Spanish.